Summer is coming to New Zealand and I feel so excited thinking about it. It's in the air. Last Summer I was pregnant and I definitely didn't feel this way. But now I am unpregnant - I feel alive! Since being pregnant I am constantly aware that I may or may not end up spending the better part of the next decade being deathly ill, marginally ill, or totally sleep-deprived-with-toddler-and-newborns. Suddenly this "I'm so tired because I have a baby" stage seems laughable because some people.... 2 babies! 3 babies! I'm perma-grateful for the now. For not being nauseous at this particular point in time. For only having 2 sleeping schedules to juggle... And it makes me want to run around and do ALL THE THINGS while I can. So, here's a look at some of my Summer bucket list. 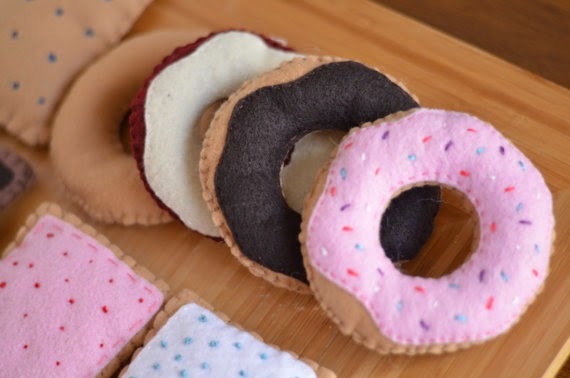 In my donutty google travels I also came across this donut ring (like actual jewellery ring) which you should get for the baker in your life, and mini-donut playfood for doll houses. Now THAT is something I would have been into as a kid. I mean I may have been scared of dolls but at least I knew how to craft a jillion varieties of fimo pastries for their kitchen. 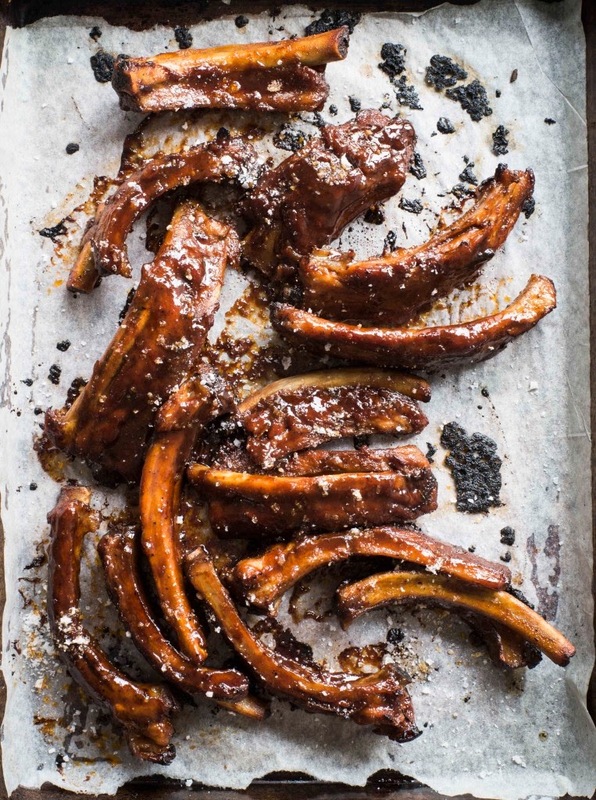 I recently became obsessed with Chelsea Winter and her perfect-every-time recipes. I cooked pork belly and lamb shanks all in one week! For the new-mum on cooking hiatus that was a big deal. Calum even asked me what was happening. Anyway, next on my list are the ribs. They almost make me want to watch rugby they look so good and... rugged. The other thing I crave on summer nights is this raw fish salad with coconut, chilli, lime, coriander that we had in Nantucket from the fanciest chef on the earth. Actually his were served in mini taco shells and it put the icecream bar to shame! Never thought I would say it but... I have to make raw fish this summer. 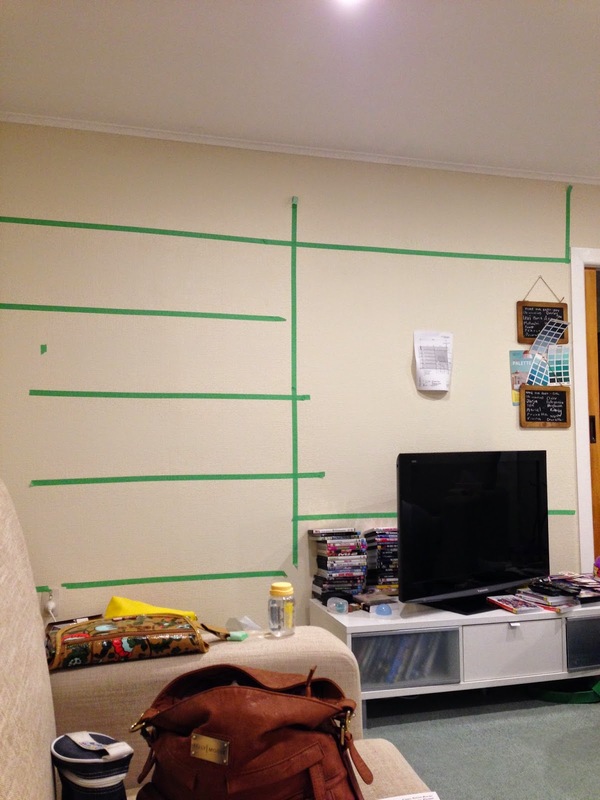 Those green strips of painter's tape will eventually become shelves and a tv unit. The plan was to make it all ourselves but after calculating all the prices for the wood (we want it to be proper timber, not MDF) I don't know if we'd be saving anything by DIYing - a tradie might be able to get better prices! This should probably be in a blog post of its own but the idea is that everything will have a place - at last! Piles of DVDs, baskets of baby toys, spare cushions, etc will all have a proper home so they won't need to be heaped on the floor in every spare corner. With Ella starting to move around sometime soon it's pretty important to get that sussed out. Oh I feel so jolly just looking at it! I don't know where you get those felt balls from tho. They're nicer than the pompoms you can buy. The only problem is I will crave gumballs every time I see it. 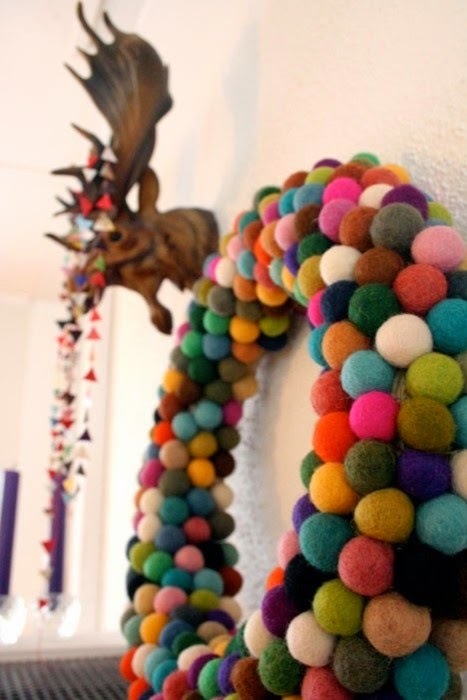 Also, I want to make Christmas decorations out of felt. I don't know how and I don't know what, but I want to. 5. 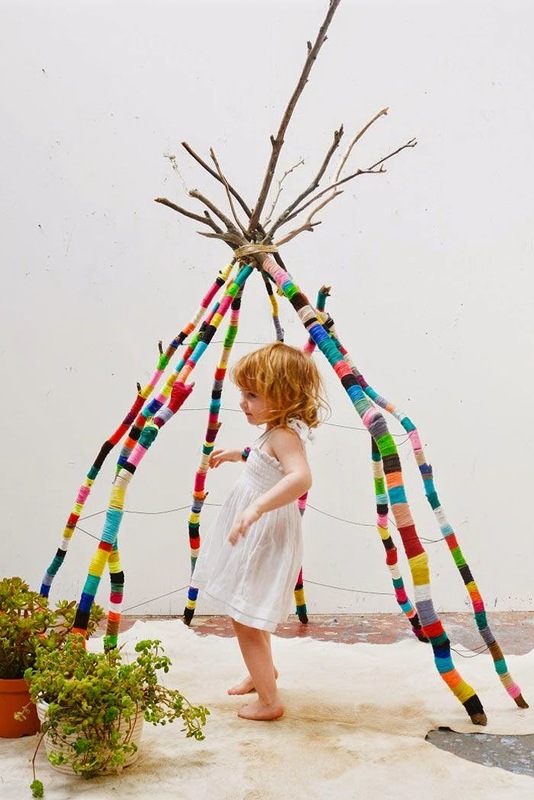 Yarn-bomb some twigs and put in a vase. SO basically a smaller, simpler version of this, in a vase masquerading as flowers that can't die. I upholstered this headboard the other day. Again, I should be writing a blog post on this topic alone but... I'm not so here it is! I'm not totally convinced, to be honest. I'm not normally a fan of dark blue furniture in our house but I thought going with something more 'standard' like this (it's a bit darker in real life) would be the sensible, stain resistant choice. Lesson learned - just do what you like! I now feel pretty ho-hum about the whole thing and may end up putting a different fabric on. Which isn't hard, just annoying and I don't want to waste fabric. It's hard to get the padding smooth as you have to pull it ridiculously tight, but I think I did an alright job at it. 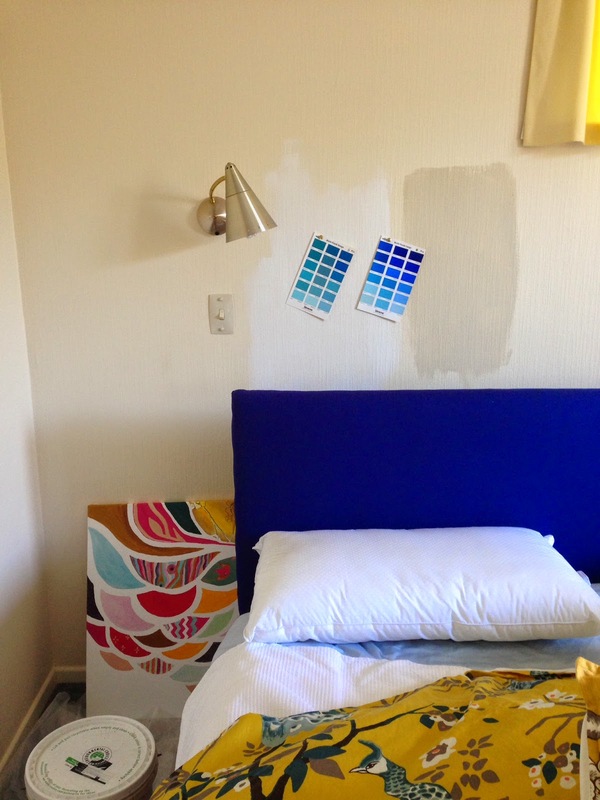 Oh and in case it's not obvious - repaint the walls and tidy up the rest of the room are on the list too. Also, the previous owners thought having about 5 different styles of odd light fixtures around the room would be eclectic and cute. You can see the alien-cone-head one here and then on the other side is an ornate frilly haunted-house-style one. Aah, homeowners. 7. 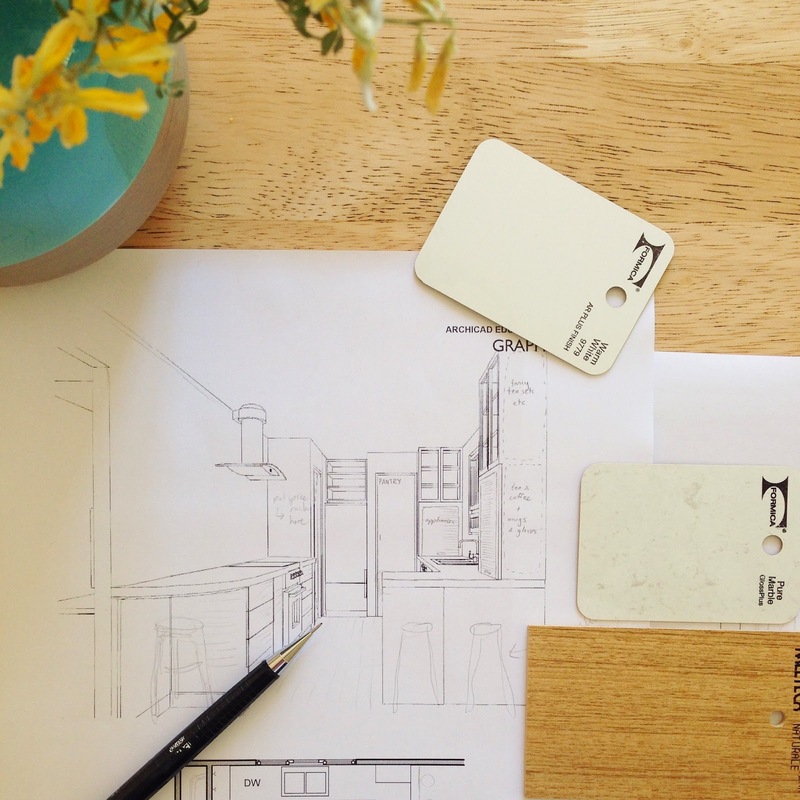 And last but not least - design all our house renovations for the next 10 years. The inspiration struck so I'm rolling with it. You know you have struck gold when your not-caring-about-details husband looks at you with fire in his eyes and says "I love it!" In case you were unaware, our present kitchen is untouched 70's glamour. And by glamour I mean dark-brown-everything and archways. Lots of archways. If you are unlucky, you may get a peek of it here. 8. 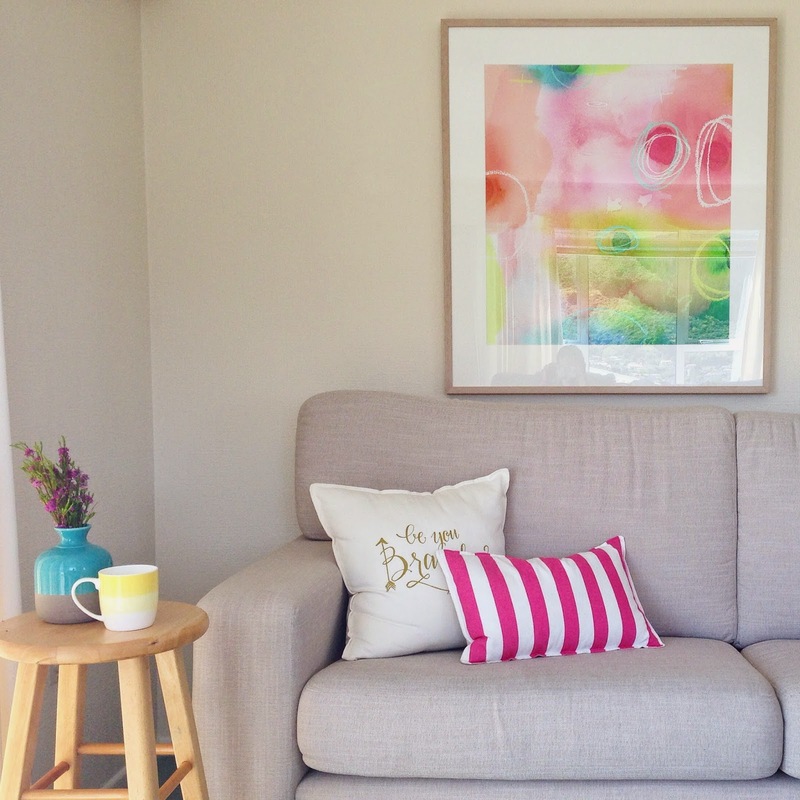 Win the competition to win a room makeover from Freedom Furniture. I entered and heck, there's no harm in hoping. Reach for the skies I say! I think I would choose our bedroom for sure. Let's just say it's full to the brim of baby gear and our 4-month-old sleeps in the same room so I never go in there except to make mess and/or sneak around Her Sleeping Highness in the dark. It could use some attention, is all I'm saying.